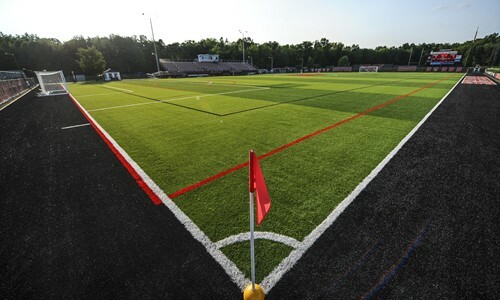 Hartford, CT – The past two season have seen the Hartford City Football Club play at Central Connecticut State University located in New Britain. While the school has serviced the club well since the team first started playing, growth and desire from the fan base made exploring new venues a priority. A decision to move in the off-season was made to re-locate the home stadium to University of Hartford. As a Hartford and Connecticut team, there’s an importance for Hartford City to play closer to the community it represents, paying homage to the rich history and traditions of the state, while simultaneously being an agent of change, and ultimately, a symbol of Greater Hartford. Welcome to Hartford Colts! Now in its sixth decade, the University of Hartford sits proudly on a 350-acre main campus that includes parts of Hartford, West Hartford, and Bloomfield, Conn. It provides a beautifully landscaped vista with grassy expanses and wooded areas with a branch of the Park River winding through it. Yousuf Al-Marzook Field, dedicated in 1977, is home to the men’s and women’s soccer teams. The complex, located behind the Reich Family Pavilion, includes an all-turf field lined for both soccer and lacrosse. It sports permanent grandstands with a total capacity of 2,500 and fully automated scoreboard. Single-match tickets will are available now and fans can purchase 2019 season tickets. Hartford City’s clash with conference rival Boston City takes place on Saturday, April 27th as the home opener to the 2019 season. The match will be live-streamed on the team’s Facebook page.